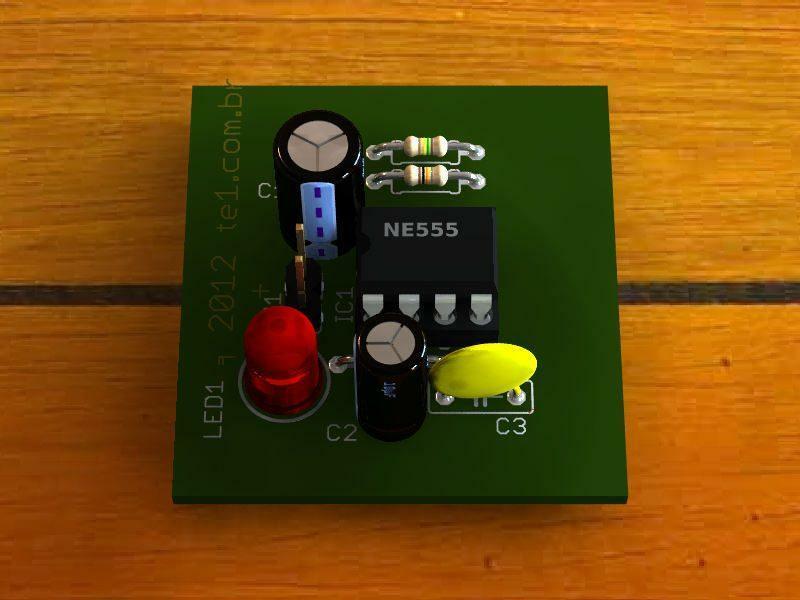 Simple circuit simulator false alarm for cars or home, based on an integrated circuit timer 555, just to simulate the existence of an alarm in your car. 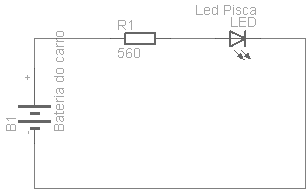 Using an LED to simulate that “little light” that flashes indicating that the car alarm is activated. 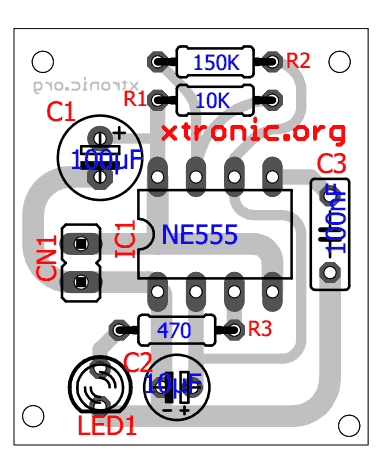 the circuit is based on the 555, mounted as astable oscillator, set to make the LED “flash” about once a second. 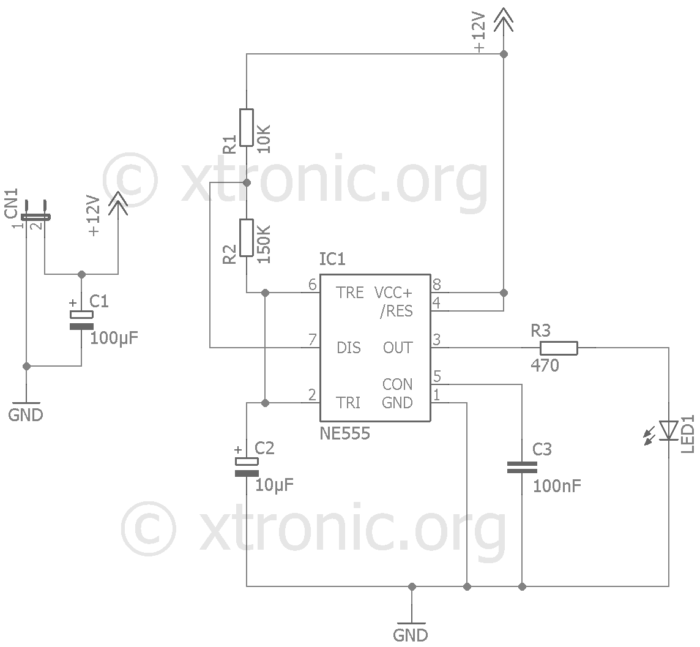 Simple to make and should be supplemented by own car battery, connected by cables to the flag of alarms. Solder, wire, PCB, box, etc..
Xtronic.org blog author. Electronics technician for the technical school of Brasilia - Brazil. 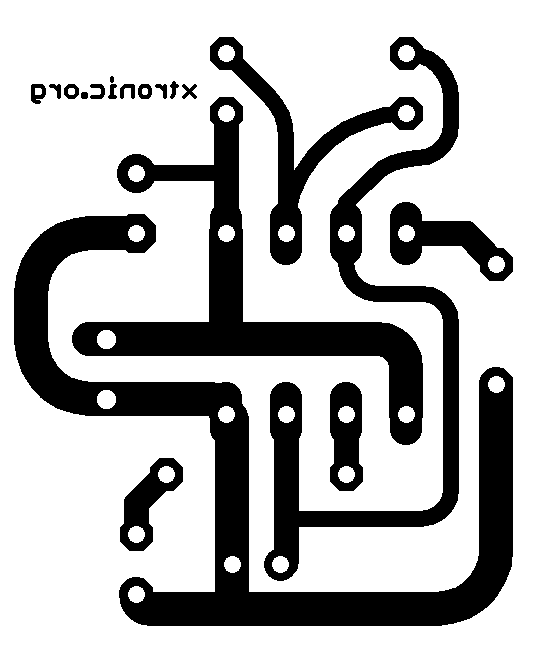 Interested in electronics, circuits and technology in general. Please send me some LED circuits with PCB layout.